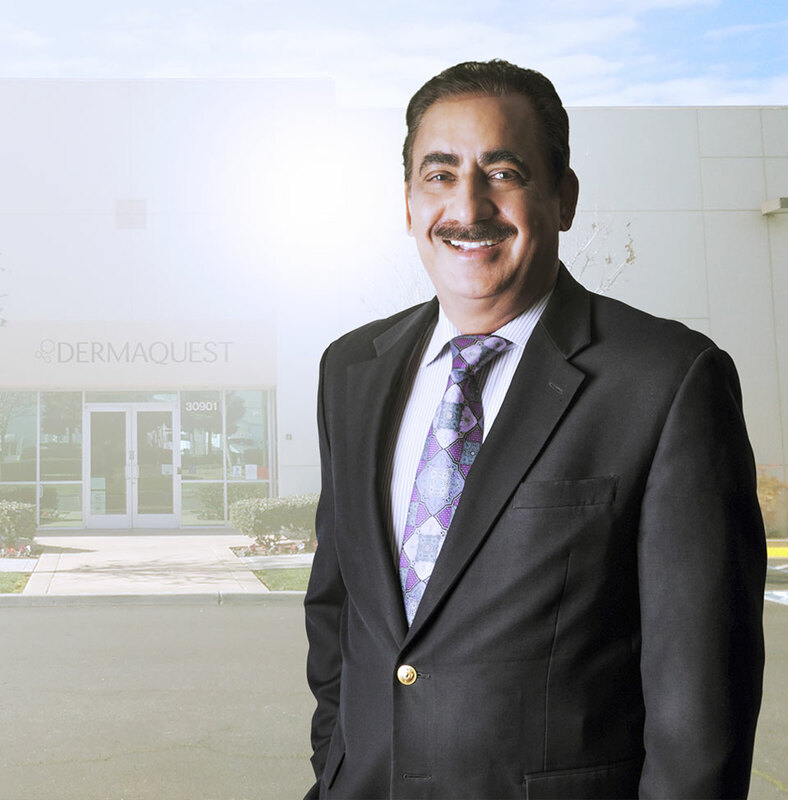 DermaQuest CEO and lead chemist Sam Dhatt is passionate about chemistry and invention. He earned two graduate degrees in India – an MS in Chemistry and an MBA in Marketing and Finance. When he arrived in America he started with an entry-level job at a cosmetic formulation company. Within a few years, he became the Director of R&D. As an expert in research and development, Sam developed specific lab methodologies, insisted on the latest lab equipment and continued to rigorously train all DermaQuest chemists with the highest laboratory standards. Using the finest ingredients and manufacturing methodologies, Sam was among the first to work with Alpha Hydroxy Acids (AHA) in 1992. He was also one of the first chemists to use macro and micro sponges by Advance Polymer System to be used in skincare formulation in loose and pressed power. By 1995 Sam owned his own cosmetics research and development company. His work and formulation with Peptides earned him the nickname “The Peptide Man.” Allure Labs was to be among the first to use Peptides and stem cells has earned him the nickname “The Peptide and Stem Cell Man”. DermaQuest was one of the first to use both Peptides and Stem cells in the skin care products. He will continue to discover the best in skincare formulation for your products.